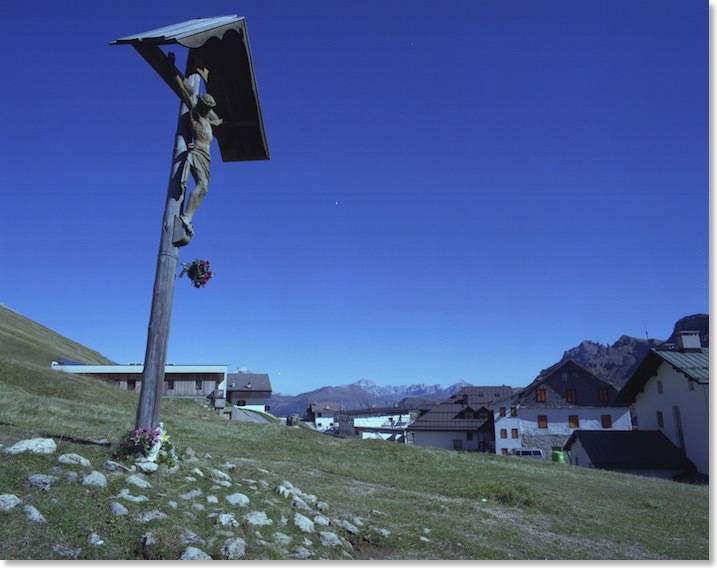 This is a photo Zardini uses in both guides to the Road. 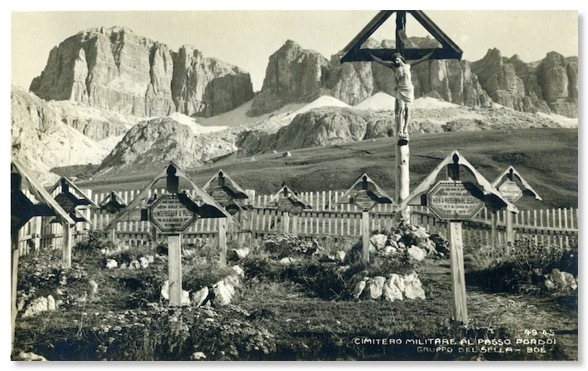 The mountains in the background, left of centre, and more visible in Zardini’s photo than my own, are the Tofana and the Col di Lana, themselves both particularly bloody WW1 battlegrounds. 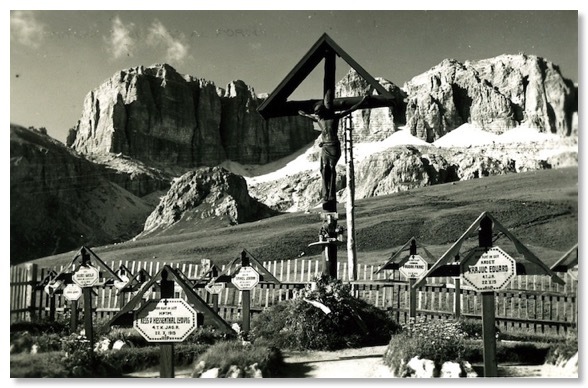 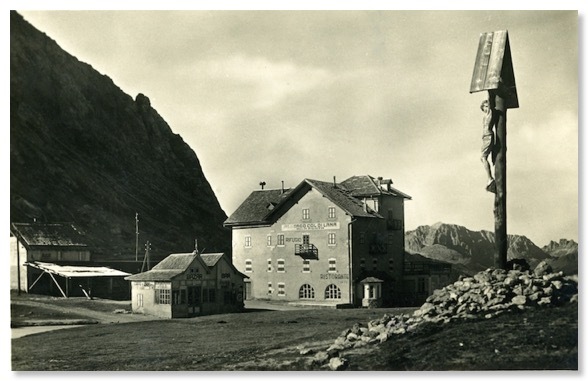 Today the graves themselves at Passo Pordoi have gone, but amazingly, the old wooden crucifix, or a close copy of it, still stands at the very same spot as in the Zardini photo from about 90 years ago. 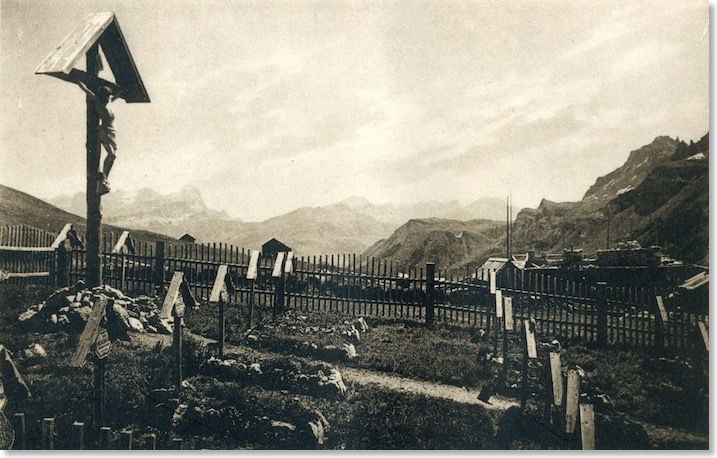 The soil here is so thin that it has long ceased to show much evidence that this is where the cemetery stood, but Zardini’s photos, and numerous postcards attest its existence. 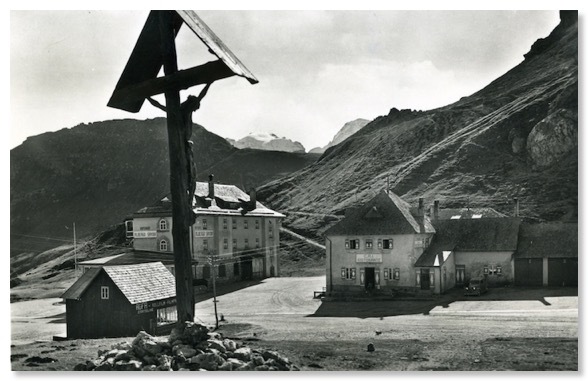 It seems that the cemetery itself had gone by 1956. 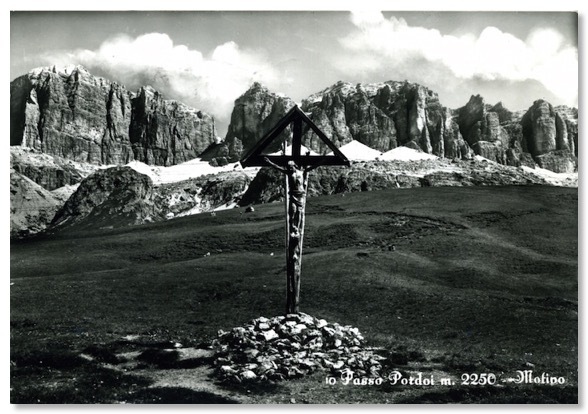 This next postcard is date-stamped 1 July 1956 and uses a photograph probably taken a few years before. 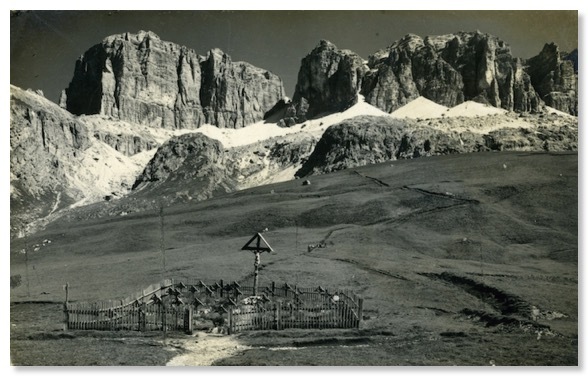 The Pordoi Ossuary, which contains WW1 Austrian and WW2 German bones opened on the edge of the Pordoi area, about a mile from the Pass, in 1959.